Saturday, I picked wild white chanterelles in the pouring rain and tonight the forecast is warning against frost. 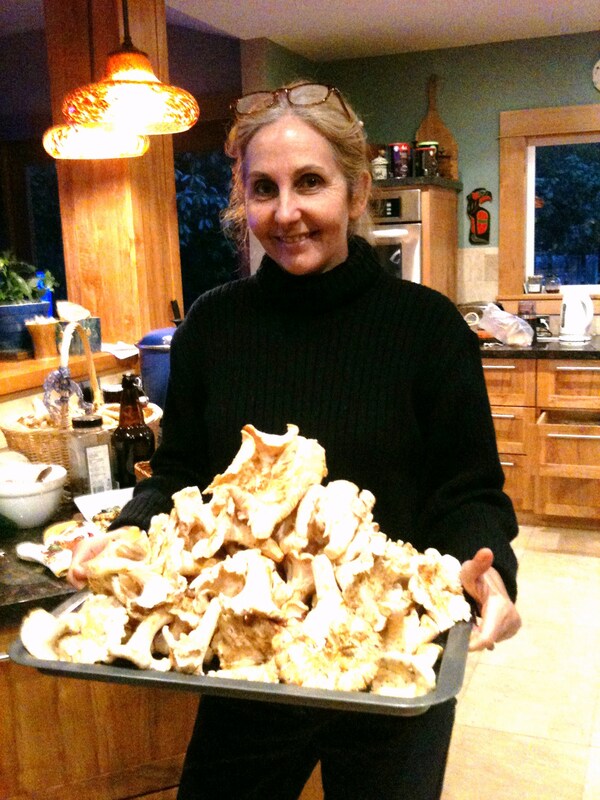 The Indian Fall is not that hot this year and I am making mushroom soup to warm up. The best way to clean the chanterelles is to keep them dry and to use a knife to trim the stem and scrape off the moss, pine needles and soil, then wipe the knife and repeat. First thing is to melt one slice of thick double-smoked bacon in a Le Creuset pot. Add about 2 cups of chanterelles cut up in small pieces (just tear them apart with your fingers, they actually shred), 1 cup of cut up white mushroom, one sliced medium onion, 1 clove garlic, and 1/2 cup celery leaves if available. Sauté until the onion is transparent about 5 minutes. Add 1 liter (about 4 cups) of chicken broth and 1/4 cup of chopped parsley. Simmer for 30 minutes with a lid on. Finish by pulsing in the blender or in the food processor with 1/4 cup sour cream or regular cream or no cream at all, not to fine, you want to see small pieces of bacon and mushroom. Serve with parsley leaves and a whole chanterelle in the centre of the bowl. Croutons optional. A glass of red wine or white wine are also optional as a replacement for 1 cup of broth. I got lost in the woods searching for chanterelles and ended walking somewhat in circles, but mostly up and down, probably ten kilometers in diluvian rain, carrying two heavy baskets of chanterelles without any chocolate in my pocket or anything else to eat. I had never tasted anything so good as the cauliflower cake made by my friend Sharon from Yotam Ottolenghi’s recipe published in the Guardian when I finally reached the trailhead. 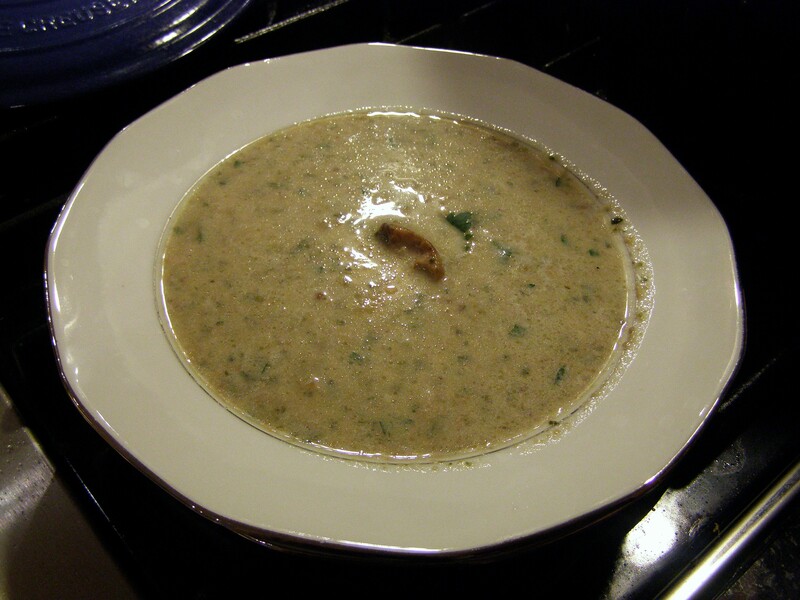 This entry was posted in Soup and tagged chanterelles, chanterelles soup, food, mushroom, mushroom soup, recipes, soup, verygoodrecipe. Bookmark the permalink. 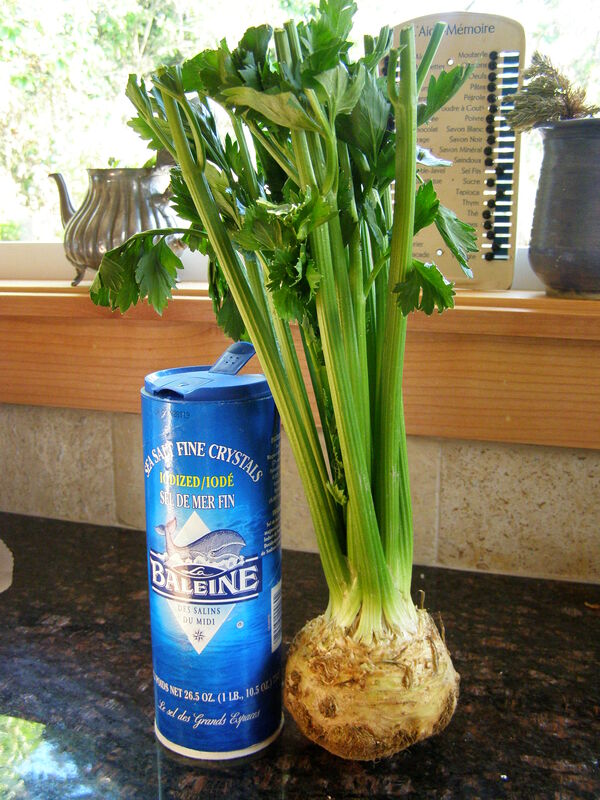 Good foraging! Am going to try your soup with the few (yellow and white) chanterelles I was able to find…after hours of hunting! The chanterelles are becoming more elusive in November but Hedgehogs grow right until Christmas and don’t even mind a bit of frost. And, you could always add a few more white or brown mushrooms to your wild crop! I have recently discovered how much I enjoy cooking when not stressed with work! We LOVE chantarelles and wild mushrooms but haven’t had much luck finding them this year. Where did you pick all those mushrooms? We must get together up at Washington this season. That picture of you is beyond stunning. Also WOW at those beautiful white chanterelles!